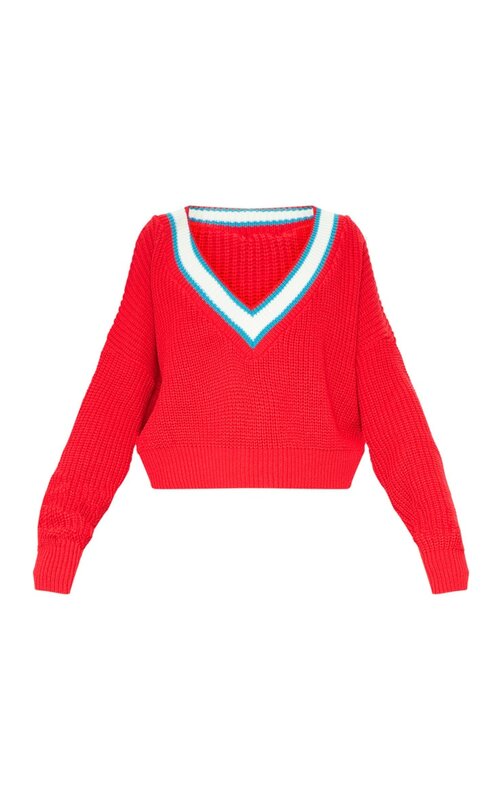 Jumpers are a must-have for a chilled casual off-duty look. 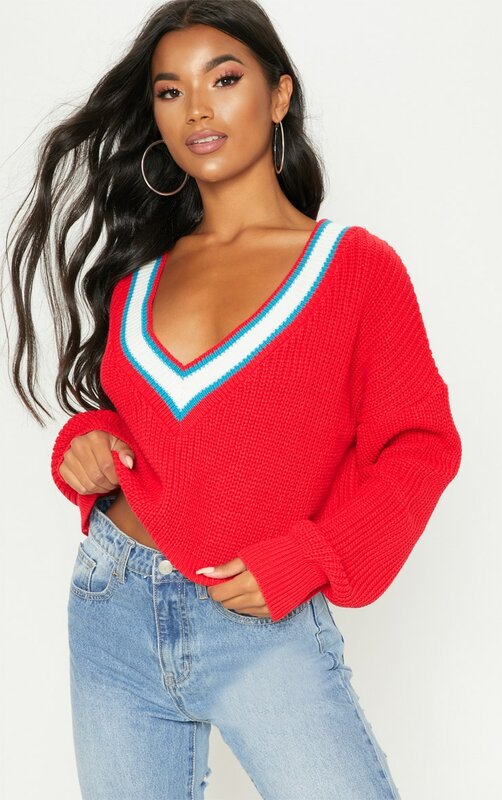 Featuring a red knit material with a V neckline and a loose fit. 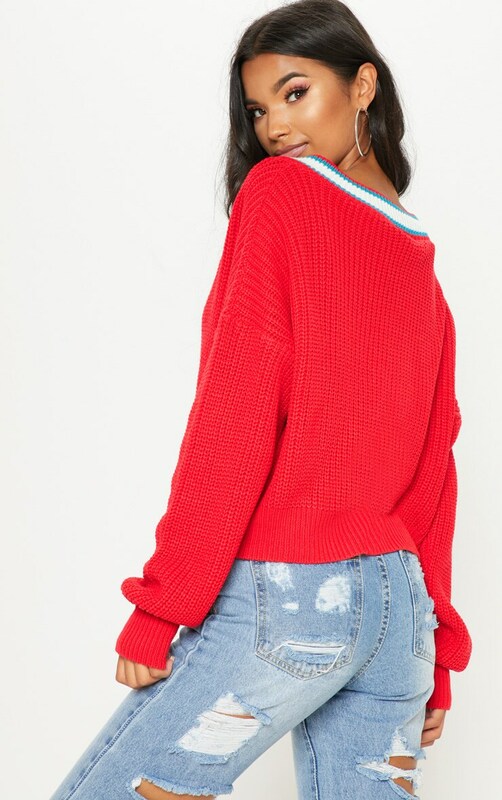 Style this jumper with jeans and fresh kicks for a look we are loving.